This BBC internal memo, sent to employees by World Service Director, Peter Horrocks, outlines the unfortunate pending cuts and changes in much greater detail than those presented by the press. Today we are announcing Year 3 Savings from the 2010 Comprehensive Spending Review settlement for the World Service. We took quick action last year to deliver the bulk of the required savings immediately after funding cuts were announced in 2010. As a result, we have already achieved nearly £30m of our £42m three-year savings target. However, this still leaves £12m of savings for 2013/14, the final year of Grant-in-Aid funding. We will be making changes to programming, staffing, scheduling and distribution. We have tried to avoid job losses wherever possible. Of the £12m savings, a significant £4.8m will be achieved via reductions in shortwave and medium wave distribution, details of which will be announced next week. However, it is impossible to make cuts of this scale without impacting on jobs and the plans announced today will result in 73 post closures. Affected teams and individuals have, of course, already been informed and we will work with them to help them through this. We are simplifying the World Service English global schedule to have fewer regional variations, creating a more coherent offer which we can also promote and cross-trail more effectively. Being able to link together all the programmes in an hour will also make it easier to fit our content into partner stations’ schedules. A new programme, The Newsroom, will replace World Briefing. This new programme will be live and reactive and it will showcase the best of our Newsgathering presence across English and WS Languages. There will be six editions of The Newsroom across the schedule, with World Have Your Say and The Newsroom coming together each day at 11:00 and 11:30 BST, a prime spot in the schedule. Schedule changes mean fewer full hours of news output – down from about eighteen hours each weekday to about fourteen hours. As a result, there will be post closures in WS News. Further savings will be found in WS News through efficiencies and by integrating some functions across BBC News. In addition, there will be some reductions in Newsgathering, resulting in some post closures. World Service English is also creating a smaller single management team working across distribution, channel management and scheduling. There will be a reduction in the number of specialist announcers on WS English. From April, we will close our daily arts programme, The Strand, and at the same time extend Outlook to an hour long format, offering a new approach to covering Arts, Music and Humanities. A daily 10 minute section will look at the people behind the world of music, entertainment, film and the performance arts. Every Friday, The 5th Floor will run in the Outlook time slot. The move of this programme to a more prominent slot in the schedule is an indication of its success after less than a year on air and it is a great way of bringing the work of our Language Services to an English audience. The 5th Floor will include a 10 minute arts segment drawn from the Language services’ coverage across the week. We are also making space in the schedule for The Slot: an hour long programme dedicated to arts and culture coverage across the BBC and the Language Services. These scheduling changes will enable a significant saving, but will ensure that arts coverage maintains prominence and relevance on the World Service, while making best use of our connections across Languages and the broader BBC. There will be a reduction in the number of documentaries: instead of having four weekly documentary strands, we will now have three with Your World ending. There will be no post closures as a result of this change. Bottom Line will no longer be reversioned for the World Service. Again, this will not result in post closures. These changes in WS English will result in the closure of 25 posts. Year 3 savings affect those Services which were not required to make changes in Years 1 and 2 of the Spending Review settlement. There will be a change in the editorial purpose and remit for the English Language Teaching team. For the last four years, the team has been asked to earn revenue from commercial sources. In the future, the team will focus on public service provision. This change in remit will result in post closures. There will be post closures in BBC Afghan, BBC Burmese, BBC Bengali, and French for Africa. In some services, this will be mitigated by the creation of new posts in bureaux overseas driven by new editorial and operational considerations. A number of currently vacant posts in the Near East hub, African English, BBC Swahili and BBC Brasil will not be filled and will therefore close. In 2013, BBC Swahili morning radio production will move to Dar es Salaam, and the dawn transmission for BBC Somali will move to Nairobi. This will deliver savings for these two services. One vacant Swahili post will close. There will be no impact on Somali posts. BBC Hausa and Great Lakes will be making changes to their schedules to deliver savings. There will be no impact on posts. The changes to WS Languages, including a few extra post closures outside the UK to be announced at a later stage, will result in 44 post closures. In addition to the above, now that we have moved out of Bush House, we will be closing four posts in WS Property. Despite financial pressures, we have continued to adapt our services in response to changes in our audiences and this strategy will continue. We have already seen the successful launch of new TV programmes, Focus on Africa in English for partners and on BBC World News, and Dira Ya Dunia in Swahili, carried by partner broadcasters across sub Saharan Africa. We plan to develop similar programmes in Hindi and Urdu and hope to be able soon to announce a successful conclusion of negotiations with our partners on this new programming. As we prepare to move to Licence Fee funding, we will be able to demonstrate that the World Service remains strong despite the funding cuts of recent years, is more efficient than ever, and remains a vital force in today’s complex media world. As the new Director General stated in his opening address to staff, he is very supportive of the World Service, as is the BBC Chairman. No doubt, following two major reductions in two years to the size of the World Service, many of you will have questions about its future. Before 2014, the BBC Trust will prepare a licence describing the purpose, remit, strategy and budget of the World Service in the Licence Fee. The Trust will consult and publish on this licence ahead of transfer to the Licence Fee. This licence will be the key document that will, from April 2014, govern the size, shape and character of the future World Service. All World Service staff will have the opportunity to share their views with the Trust and this will include opportunities to hear from and question individual Trustees. As I said above, the changes we are announcing today do impact on individuals and teams. We have notified the NUJ and BECTU of these proposals and will consult both them and staff affected so that we can look for ways to reduce the number of compulsory redundancies where possible. 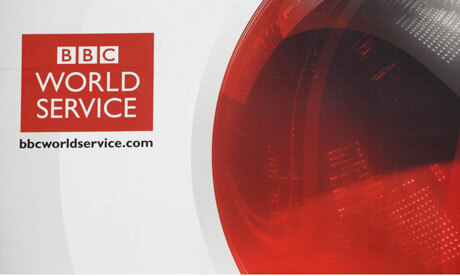 I know you will all be supportive of your colleagues through what will be a difficult time and I and the World Service management team will do all that we can to help them through this. It seems much of the monies are being diverted from shortwave to fund TV ventures, instead. This entry was posted in Broadcasters, News and tagged BBC, BBC Cuts, BBC Internal Memo, BBC World Service Cuts, BBC World Service Internal Memo, BBC WS on October 19, 2012 by Thomas.